1 – An effort is underway to restore two historic rock reefs in Saginaw Bay. The reefs, located in the inner region of the bay, used to be spawning sites for a variety of fish, like walleye, lake herring and lake sturgeon. Let there be rock. Credit: Soumyadeep Paul. Recent modeling of the bay shows that less sediment is running off the land and damaging fish spawning sites. So, Bay County leaders say it’s a good time to try and re-establish the rock reefs. They are gathering letters of support for two different rock reef grant proposals. According to one letter of support, there used to be a prolific lake sturgeon population in the bay, and it’s possible that these rock reefs will provide suitable spawning grounds for a remnant population. Restoring the old reefs also could help expand existing populations of walleye and lake whitefish. 2 – The solar industry is adding employees across the Midwest. Michigan isn’t faring as well as other states in the region, however. That’s according to a State Solar Jobs Census from the nonprofit Solar Foundation. The group says solar installers, manufacturers, and suppliers added employees in the Midwest last year at a rate of more than double the national average. It’s estimated that the solar industry now employs more than 17,000 people in the Midwest — a 51 percent increase from 2012. In the Midwest, every state except for Michigan outpaced the national growth rate. Ohio remains the region’s largest solar employer. Missouri saw the biggest gains. – via Midwest Energy News. 3 – A little helicopter will help study the Great Lakes. Central Michigan University has acquired the only unmanned aerial vehicle in Michigan that is equipped with a hyperspectral camera. It’s a six-foot-long helicopter, controlled via computer or by radio waves. CMU has acquired the only unmanned aerial vehicle in Michigan equipped with a hyperspectral camera that will significantly advance research imaging of Great Lakes wetlands. Credit: CMU. 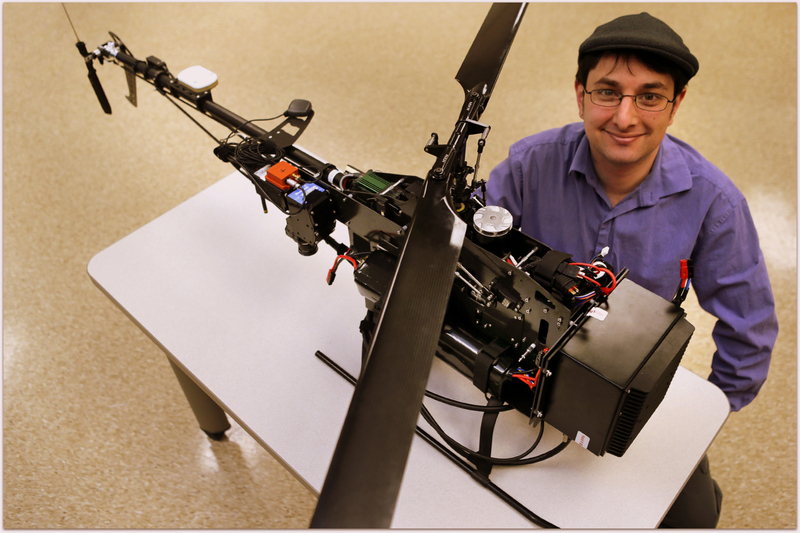 University officials say the tiny copter will advance research imaging of Great Lakes wetlands. Researchers will use the helicopter to capture images of vegetation in wetlands throughout the Great Lakes basin. The camera takes super high-resolution images in 334 colors. Typical cameras capture just three colors. Instead of capturing an image that shows a tree, for example, the hyperspectral camera will show individual plant leaves throughout a wetland. Work with the flying machine will focus on fighting invasive species and protecting rare plants. CMU will use the helicopter for the first time this spring in a wetland area in Washtenaw County.